The Divide: American Injustice in the Age of the Wealth Gap by Matt Taibbi, explores the growing gap between the rich and poor in our country, especially in regard to the criminal justice system. A few have complained that this book lacks methodological rigor; it doesn’t have graphs and charts to provide evidence of this phenomenon. But they something crucial here: the author is writing journalism, and sticks to specific stories of people. Yes, he writes about wider trends, but the narrative is always story driven. In a way, Taibbi is not telling a new story. Wealthy white men in American have always had laws that applied specifically to them, or did not apply, as the case may be, while people of color, particularly African-Americans, have been subject to a different, harsher set of laws. This has always been the case (as it is with all minorities, and women). What is new is the scale. In post Great Recession American, we have become a society ruled by oligarchs from Wall Street who operate above the law. Financial firms do pay fines for gross wrongdoing, but no one ever goes to jail. But in black neighborhood, stop and frisk laws, and “broken window” policing, keep minorities under the tight grip of a police state. 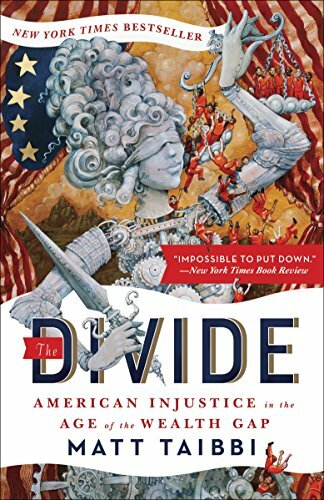 Taibbi’s prose presentation might be a bit adolescent at times, but that does not take away from the importance of his book. He is angry, as we all should be, about the state of our state. We are now a bifurcated as a society; and this divide is only getting worse, much to the determent of our democratic institutions. Shy of a vast progressive movement with widespread support, it may already be too late. 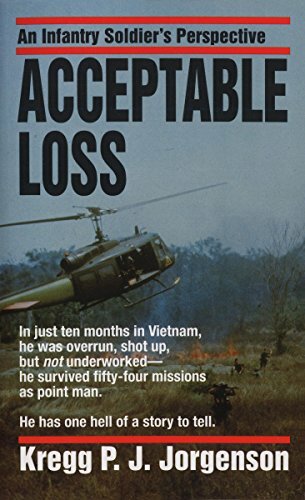 I started Acceptable Loss: An Infantry Soldier's Perspective with some misgivings. From the title, it looked like it would be a glorification of war. But Jorgenson writes about the experience of war with nuance. 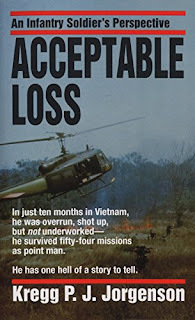 He takes to soldiering in Vietnam with alacrity, volunteering for Long Range Reconnaissance Patrols, where Rangers are dropped close to NVA positions. They spend five days in the field, careful not to engage the enemy, trying to gather intelligence on NVA positions. With only five man crews, not engaging the enemy is all important. But things go wrong, of course, and Jorgenson is wounded in a firefight. The reader gradually realizes that a nineteen year old in combat becomes less effective once wounded. The author can no longer be a LRRP. On his second assignment, he rescues downed helicopter crews. While with this crew, Jorgenson is wounded twice, totaling three times – three purple hearts. He wins the silver and bronze star. By the end of his tour he is running the camp's enlisted bar. His friends have rotated out, and he will be gone soon as well. The war is no longer his war. It is hard not to see Jorgenson’s point: a war takes young men and woman, burns away their effectiveness, and then brings more young men and woman to replace them. Some are wounded, and other die - but all are stamped by the war. This cycle is particularly grim considering the overall tenor of the Vietnam War. 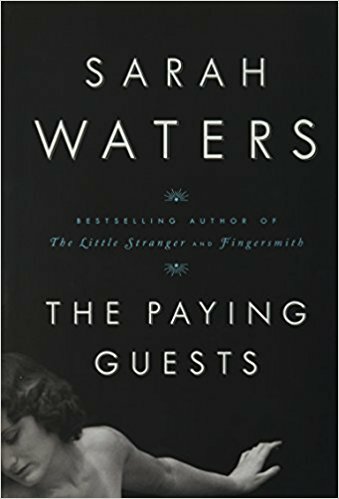 Sarah Waters novel, The Paying Guests, showcases this author’s distinct ability to take a momentary emotion, a fleeting feeling fed by a glance, a touch, a smell, and then shape her words into a multilayered and dense examination of our emotional lives. Waters has this touch, and more; she manages to create the world of 1922 England which we expect, but seldom to never does she rest on cliche or stereotype. 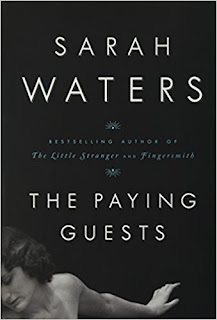 This novel is about gender and class in a typically English way, but Waters brings a fresh edge to these well-worn topics. Perhaps the novel goes on for too long. Toward the end, events grow belabored as the novel takes a sudden and dramatic turn. This blemish is forgivable given the first three fourths of the book. Svetlana Lavochkina’s novel “Zap” offers readers a rare combination of a well-written, smart novel, combined with biting, often bawdy humor. The author knows her trade. She deftly brings the reader through various eras of the Soviet experiment (and the pre-Soviet era) in her native Ukraine with an insider’s knowledge, bringing a verisimilitude of place, a fixation on accurate, often hilarious detail, to an otherwise sprawling, epochal, novel. I know the author, and this work was long in the making. The reader will be amply rewarded by the author’s effort. Lavochkina writes in an English idiom largely of her own making, crafting a work that is unique in the sound and tempo of the language, something a native writer would be hard pressed to construct. 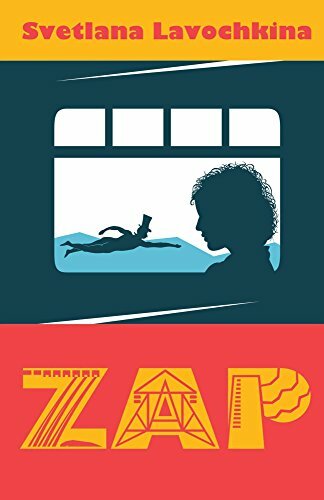 In fact,“Zap” is very different in tone, style, pacing and structure from most novels. It is a truly singular work, with exceptional insights, style, tone and pacing. In other words, had the south not seceded from the Union, slavery would have probably been preserved in some form or another in America for years to come. 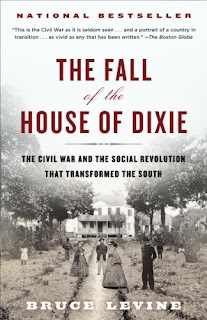 For Levine, the Civil War quickly became a second American Revolution - really a social revolution, as he calls it; the south would not only be defeated, and soundly, but the entire structure of the American Republic would be altered. In the decades prior to the Civil War, the planter class wielded a great deal of authority in all branches of the government ­­­– far exceeding their size or economic importance. The war would end that dominance in 1865. Of course, this revolution was incomplete. Levine only handles reconstruction, its failure, and Jim Crow, very briefly. The promise of the Civil War would not truly be realized into law until the Civil Rights movement a hundred years later. And we continue to grapple with the issues of the Civil War today. In a real sense, the revolution is ongoing. 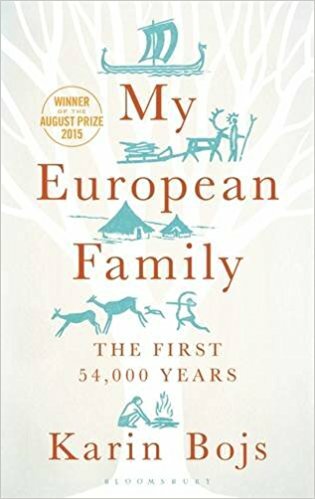 In My European Family: The First 54,000 Years, by Karin Bojs, the author explores her own ancestry using a variety of tools. 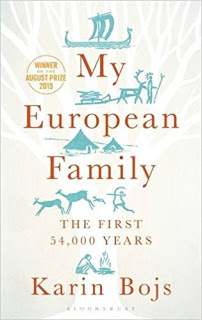 She explores the archaeology of various areas in Europe, especially Scandinavia, the oral stories of her family, and the technologies that have developed recently in the genetic study of ethnic origin. Bojs is a science journalist, and so is adept at explaining complicated details for the laymen without dumbing down the material. At the same time, she is apt at weaving her own family and personal story, along with the wider scope of human historical trends. This makes for a both very intimate and yet objective book. Of course this book would not have been possible without the recent rise of relatively cheap genetic tests. Bojs explores the possibilities and limitations of these tests, raising legitimate concerns about the limitations, which are often downplayed. 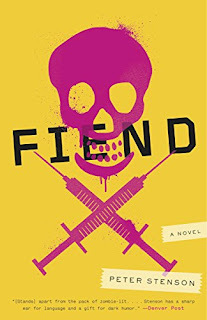 Peter Stenson’s Fiend: A Novel had just enough verve to keep me reading, even though the initial premise of the book seemed thin or lacking. In Fiend, meth users are the only people to survive a zombie apocalypse. Stenson pulls this novel off largely by not straying from the mark. I admire this kind of writer, one who stays true to his or her vision. In the end, it provides the ballast for a story. A note: a sloppy read of Fiend makes using meth seem a romantic or enhancing experience. It is neither, so please don’t read the novel in a sloppy manner! Dancing in the Glory of Monsters: The Collapse of the Congo and the Great War of Africa, by Jason Stearns, is an account of the political and military unrest in the Congo for much of the 1990s onward. 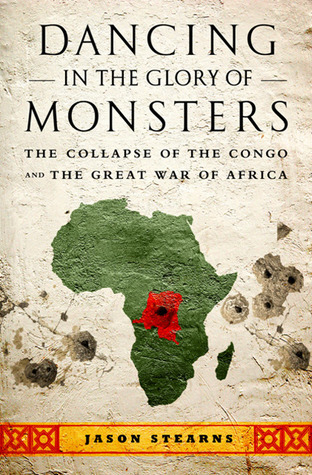 Stearns does a remarkable job considering the complexity of the war, and the ignorance of people about the Congo. What we get is an account of how the Congo works, or fails to work, as a political and social entity. This makes for sober reading. If a culture can develop, or evolve, into such an utterly corrupt entity where any contact with it comprises a person’s moral sense, we should all be very troubled. For if it happens in the Congo, it can just as well happen here.